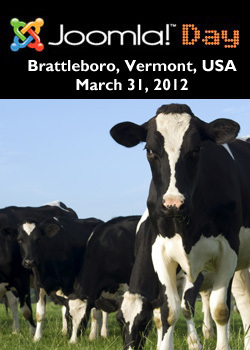 Join us for the fourth annual Joomla Day New England, held on March 31, 2012, from 9 AM to 5 PM at the Marlboro College Graduate School in Brattleboro, Vermont. Once again, we'll feature a great mix of speakers from our local user group, as well as well-known Joomla speakers based in the US. We'll be focusing on Joomla 2.5, mobile for Joomla, and great ways to extend and market your Joomla site.